Many potentially strong kenshi reach a stage where their kendo development is blocked because their hips are not sufficiently engaged when they make a forward attack. This is one bad habit that seems as common in Japan as it does in the west. You see this trait very often with people who have had successful high school and university shiai careers and who have come to rely on speed and good reflexes to beat their opponents. Unfortunately as we get a bit older we start to slow down, so we need to ensure that our posture and technique are correct, to ensure that we make the most of the opportunities we see and that we do not leave ourselves open to attack through bad kamae. Obviously your hips need to be engaged before during and after each attack and if they are not, our posture will be hollow as we strike. Our feet may well finish in the correct position and our hands may be in the correct place to hit the target but unless our hips are forward and we are able to cut with the power of our back, the strike will not be effective. We are given various advice on how to correct this. Some teachers talk about “tightening your buttocks as you step forward” others recommend “making seme with the intention of pushing your navel towards the opponents left eye”. 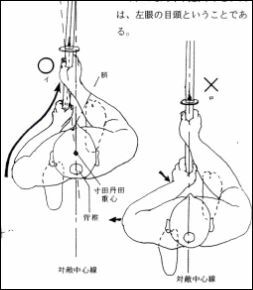 Other sensei have gotten the required result without even talking about the hips; for instance by ensuring that the left leg is straight, with tension behind the knee as you step forward. If you do this, it is impossible not to engage your hips. “Many paths to the top of the same mountain” as they say. There is however need for caution in how we change our kamae. It is only too easy to over-straighten your hips, pushing your left hip and by default your left shoulder too far forward. This will have the effect of making your posture overly stiff and tense and it then becomes difficult to make relaxed fluid strikes with the shinai. Your posture should be natural and comfortable and although your centre should be focused on the target it does not mean that both hands and the mid-point of your head and body should be in a direct line. Instead your body should form a triangle pointing at the target. I have taken an illustration from Matsumoto Toshio sensei’s lecture notes that illustrates this far more effectively than my explanation. But remember, push your hips forward and relax. One of our newer members is a professional musician. His kendo is visibly improving from week to week, but like almost everyone who starts as an adult he tends to use more physical power than he needs to. Trying to find an easy analogy, I thought about my experience as an incompetent bedroom guitarist and realised that the inability to relax was the major reason for my lack of progress. When you watch great musicians they seem able to chill completely and just come in on the beat with lightest of touches. Amateurs like me on the other hand can be seen staring intently at the fret-board with their tongues poking out as they manfully prod at the strings. In kendo relaxation is equally if not more important. You have to relax in order to keep an effective kamae and to be able to move easily. Shoulders, elbows, wrists and your grip on the shinai must be loose and must remain so throughout the striking process. People are often confused by the instruction to apply pressure, or tension and relax. What is generally meant is that your legs, hips and abdomen should be braced, but that your chest, shoulders and arms should not be tense. To get this feeling you should push your shoulders back as if you are trying to make your chest feel wider. Then you should check that there is space between your upper arms and the sides of your body. Elbows should be bent. There is no reason why your left arm should not rest on your dou. Your right arm should certainly not be straight, as some people believe that it should, as it would pull your right shoulder forward and spoil your kamae. Your left wrist needs to be turned slightly outwards to support the shinai, but this does not mean that it should be tense. Your right wrist should be in a completely natural position. Your grip should be relaxed. You need to grip only with the little and ring fingers of each hand, with the other fingers following without making intentional contact with the tsuka of the shinai.. The points of contact for the gripping fingers are the finger tips and the opposing point of the palm. You should not apply pressure with the inside surface of the fingers. Finally your tenouchi on striking the target should amount to no more than a squeeze without changing your grip. Of course with kendo and music and I imagine any other activity that requires physical dexterity, the more you practise the more relaxed you become. Maybe there is a chance that if I keep playing my scales I may become another Carlos Santana or Eric Clapton. At the current rate of progress it should only take another 120 years. At the beginning of each New Year most of us think about our goals for the coming year’s kendo. These are normally ambitious and take the form of committing to pass the next dan examination or winning certain competitions, or making it into the National Team. Certainly these are all worthy ambitions and if you think you can achieve them, go flat-out to make it happen. Footwork – Ensure that you always bring your left foot up in hikitsuke, so that you are always ready to move the instant that you see an opening. Think about keeping your left heel off the ground so that the foot makes a 15 degree angle against the floor and you will have the power to launch at will. Posture and balance- Hold yourself perfectly upright, but with the feeling of leaning half a degree forward. Use your hips and back to power the strike and keep your arms and shoulders relaxed. Keep your posture after you hit and make strong zanshin. Review your kamae – Check that your targets are not visible and make sure that your hands and arms can move quickly and freely when you see an opportunity. 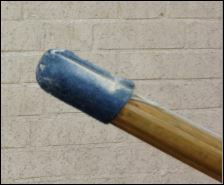 Think about tenouchi – Hold the shinai lightly with ring and little fingers and squeeze gently only after you have made contact with your opponents bogu. Make opportunities – Break your partners centre with strong seme or subtly invite him to attack to create the chance for ojiwaza. Commit – When you attack make sure that you do so wholeheartedly with a feeling of sutemi. Do not hedge your bets by thinking of stopping or going around him. Once you fire the bullet, there should be no way of stopping it. Be dignified – Win or lose show kigurai, but do so with humility. Whether we are thinking about these points for the first time or are experienced kendoka who have thought about them time and time again, we should constantly review the basics and make sure that we do not let bad habits creep in. If you have a master plan for achieving kendo greatness in 2013, please include some of these basics in your preparation. On the other hand if your aim is just to make the most of your keiko then perfecting any of these points would be a worthy ambition on its own. 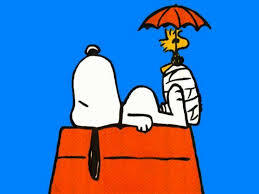 Whatever your plans have a happy and successful 2013. Apologies to Milan Kundera for the plagiarism, but I am feeling philosophical after seeing a clip of an Australian newsreader sink an interview with the Dalai Lama whilst attempting to explain the joke about the Buddhist who walked into a pizza shop and asked “make me one with everything”. One of the advantages of aging is that as you become weaker, you stop wasting some of the energy you did when you had it to spare. For many years I used far too much power in my arms and shoulders to no benefit other than burning calories. In fact using too much upper body power has a negative effect on your kendo by pulling your weight down and stopping the smooth forward motion needed to make the transition from successful attack to zanshin. In kendo we often hear the statement “Ichi gan, ni soku, san tan, shi riki”, one sight, two feet, three tanden (abdomen), four power, (in this instance it refers to the power of technique rather than strength). This adage tells us that after seeing the opportunity, our power should come from our feet through our lower body and then finally our arms and hands conclude the waza. Your left foot must always be in place. As soon as you move your right foot forward your left foot should follow. Your heel should be at a 15 degree angle to the floor giving you enough traction to push off as soon as you see an opportunity. Your abdomen should be braced; you need to breathe in and hold that breath in the interval between entering distance and attack. The feeling should be that of attacking your opponent’s left eye from your navel. Arms and shoulders should be totally relaxed with the left wrist cocked to support the shinai and the right hand in a natural position with just little and ring fingers gripping the tsuka. Elbows should rest lightly on your dou and you should keep a natural bend in your arms. Finally you should make sure that you do not move your hands and arms until your foot and body movement is nearly complete. The sequence should be push off from the left foot, raise your left hand, start to bring the shinai down as your right foot leaves the ground and strike as you make fumikomi, not forgetting to quickly draw your left foot up again, ready to move through. Many years ago Sugo sensei of Chuo University tried to reinforce this behaviour in me by grabbing my keikogi and the koshi ita of my hakama and pulling me upwards as I attempted to strike men. Unfortunately it took quite a few years before the lesson sank in. Whilst I am not necessarily advocating hakama wedgies, my advice as always, is more kihon geiko. Although you get to use more energy in the process, you may find the way to save it while you still have some to spare.